A long time ago, I drafted a list of essential books to read to understand Pittsburgh. The list has sat in a folder on my desk for a long time, waiting. Today, shazam! Here it is. We were talking about this list at Thanksgiving dinner yesterday because my parents have just retired and will summer in Pittsburgh and winter in Maine. This is one of those books that every Pittsburgher (and everyone who has reason to care about the 'Burgh) should read. It helps to understand the psyche of the people and neighborhoods of the region, derived as they still are from the immigrant labor experience. Bell's story traces three generations of an immigrant family in the upper Monongahela Valley - Homestead, Munhall, Braddock and in the steel mills. Along the way, we view the development of a community in a new, foreign and sometimes-hostile milieu. We see the promise of prosperity maintain its near-but-unattainable distance. Along the way, there is also love and friendship, betrayal and despair. It's a gripping story with a useful dose of sociology/anthropology thrown in as a bonus. This book was recommended to me by a work colleague who is a self-proclaimed history geek. She spoke about it in ecstatic terms, and the book did not disappoint. 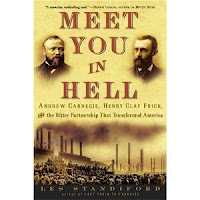 A close history of the relationships between Carnegie and Frick as both rose to baron-dom and became two of the richest men in the world through Pittsburgh's steel industry, the book had all the drama of a novel. The title comes from Frick's retort to Carnegie's death-bed plea that Frick visit him and that they bury the hatched before Carnegie dies. 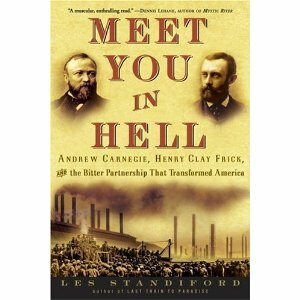 Frick tells Carnegie's courier something to the effect of "Tell Andrew I'll meet him; tell him I'll see him in hell where we're both going." The decision to focus in on the two men and their close circle is a smart one. So many histories that cover a period as long as the 50 years this book covers get too sprawling to be able to follow. I never found myself trying to remember who the players were while reading this book. Reading it and learning more about the early history of steel-making has made walking around Pittsburgh a richer experience. This book makes a fine winter project. This 620-page history of the demise of the steel industry in the Mon Valley is, um, exhaustive. Make that exhausting. It's good to know all of this stuff, and it helps me to understand the region I live in a lot better. Some aspects of Pittsburgh's culture even today feel like they derive from the workers waiting for someone else to make the big decisions that affect their lives. The book just gets a little slow in the middle 200 pages. Hoerr is at his best when he steps back from journalistic analysis of the negotiations between management and the union to paint slice-of-life pictures of the region through the hundred year heyday of steel. His business analysis is generally solid and useful, although it seems quaint at times. He didn't get many predictions for the future of industry, labor and the region wrong, though. Readers revere Dillard for her writing skills. This short book appeals because it's well-written but also because Dillard's narrative bristles with interesting facts for people who know at least something about the Pittsburgh region. Frankly, it's been too long since I've read the book to say anything very specific about it. I do remember enjoying it and enjoyed reading its origin story about Sewickley, my in-laws' town. While it's better to see these plays performed, reading them would make a decent start. 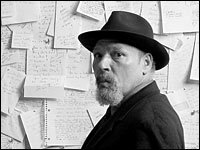 Wilson, a Pittsburgh native, wrote ten plays with a play covering each decade of the 20th century. With the exception of Ma Rainey, they're set in Pittsburgh, mostly in the dynamic Hill District neighborhood. We've had the privilege of seeing Gem of the Ocean, Seven Guitars, Fences, Jitney, King Hedley II and Radio Golf at the Pittsburgh Public Theatre. This is a gripping, often enchanting coming of age story of the son of a Jewish gangster in (duh) Pittsburgh. Mysteries got a second life with the release of a mediocre movie version. Our hero drifts through the summer after college encountering more mysteries about himself than about the city. The terrain - Oakland, Squirrel Hill, Shadyside - is so familiar for an East End resident as to be sometimes spooky. It's hard to accept that the events are fictional in places that are so real to me. 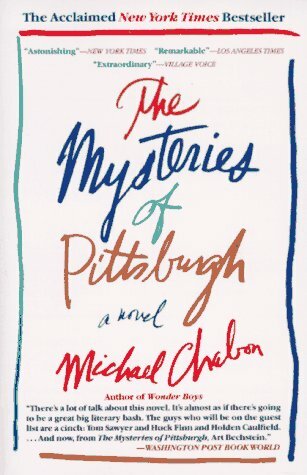 Chabon's descriptions of Pittsburgh are at once familiar and loving. The cast of characters here is small but well-developed. The narrative is filled with tension that kept me turning the pages; some might not enjoy the fact that some of that tension is generated by the protagonist's sexual exploring and his ambiguous orientation in the summer described. 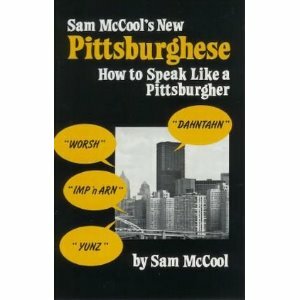 At once cheesy and a classic, when most people invoke Pittsburghese, they are (wittingly or unwittingly) reciting this dictionary. People actually use many of these words, but I've never encountered others at all. It's a novelty and will at least help newbies understand the references other people are making to this colloquial dialect. When this book was published, I heard about it on Fresh Air and in the Atlantic and maybe also in One of America's Great Newspapers. When that many of my favored media outlets focus on one book, I pay attention. Against all odds, Meyer, a Baltimorean by birth and upbringing has written a book of extremely local Monongahela Valley texture. I don't understand why he's set this book in the Mon Valley, but he's captured the place extremely well. It is not giving away too much to say that a person dies early in this book and that the events surrounding that death drive the rest of the action. Chapters alternate between each of several key characters and their responses to the recent event and the events and relationships that lead up to it (albeit indirectly). Pretty good read. Good for the beach. By writing an "essential" list, I invite the criticism that this list misses other titles. I'd welcome that, actually. I haven't read a solidly Pittsburgh book in a while. I love spam comments like this: "I'm not an expert when it comes to this. Didn't even know this was possible. 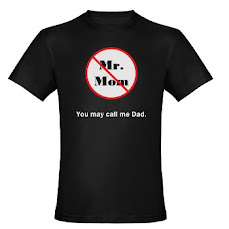 Useful read, appreciate your posting this."